Click Here To See Ruse #15 Comic Book! 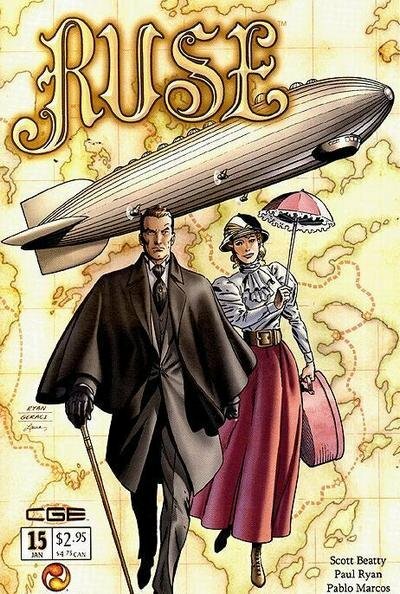 Travelers, this great cover is from the acclaimed steampunk detective series RUSE from CrossGen. 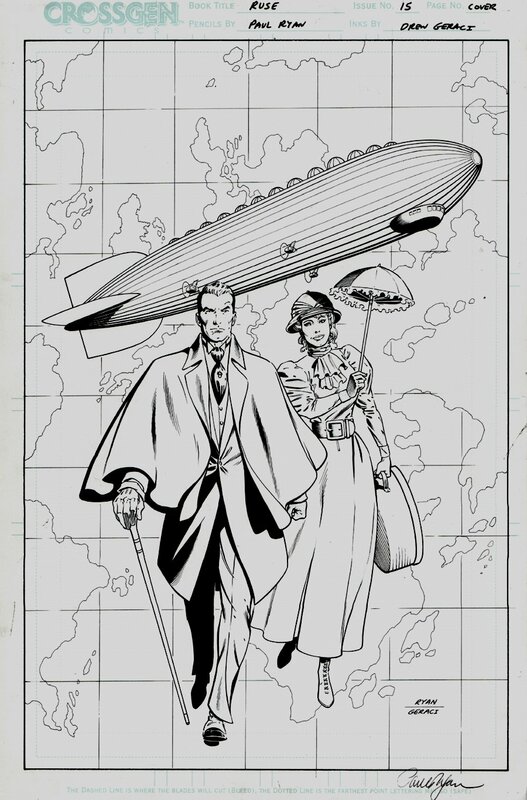 This cover drawn on CrossGen Bristol board is 11” x 17” in size and is by Paul Ryan with inks by Drew Geraci, and features the detective Simon Archard, his partner – the beautiful Emma Bishop superimposed over a map of Partington with a zeppelin in the background. This episode is the start of the story arch where Simon and Emma are marooned on a deserted island and Emma falls into the clutches of their arch-nemesis the beautiful and evil Miranda Cross. Compare this nice cover art to the published comic book in the red link above! ALL art on our website (including this one) are able to be purchased with VERY fair time payments, and trades are always considered towards "ANY" art on our website! Just send us an email to mikeburkey@aol.com and we can try to work something out.